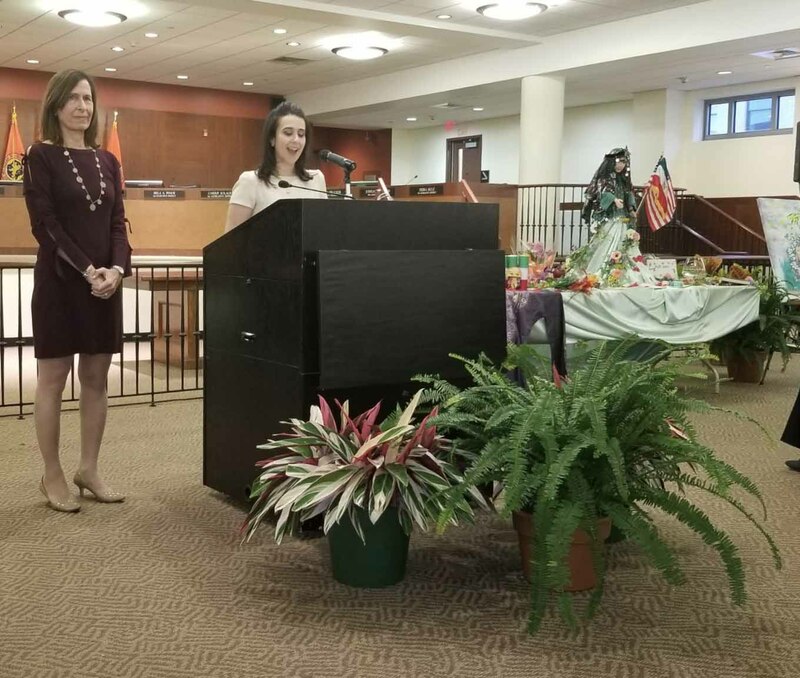 To commemorate the Nauruz holiday, Nassau County Legislator Ellen Birnbaum and Legislative Aide Josephine Mairzadeh welcomed a large audience at the Theodore Roosevelt Executive and Legislative Building in Mineola. Although the area was just blanketed with snow, according to the calendar, the vernal equinox is upon us—and it’s time to begin another trip around the sun. 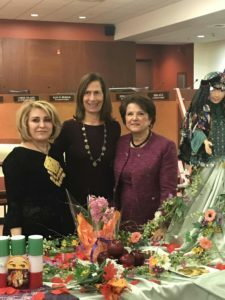 For hundreds of millions of people around the world, the first day of spring also heralds the celebration of the new year, Nauruz, which means “new day” in Farsi. 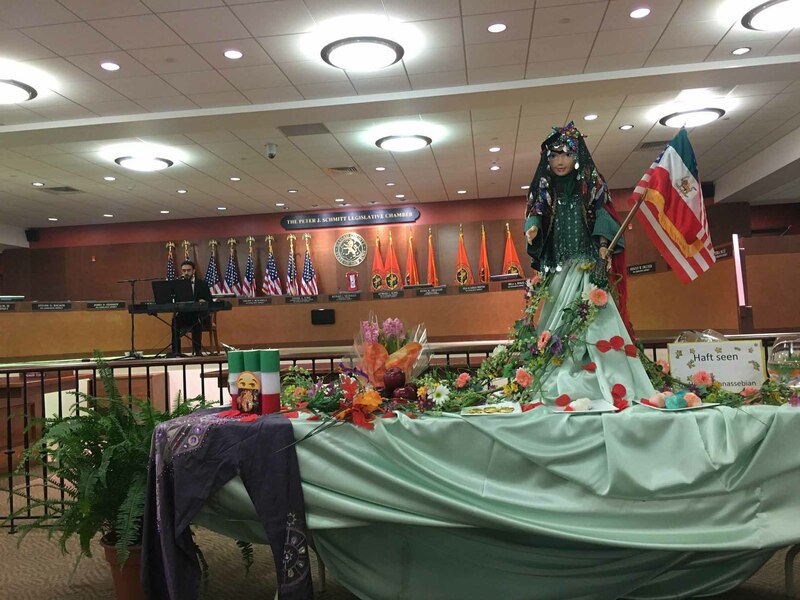 The holiday has been celebrated by Iranians of all religions and throughout the Middle East and Asia for more than 3,000 years. It coincides with the advent of spring, the rejuvenation of nature and the beginning of new life. 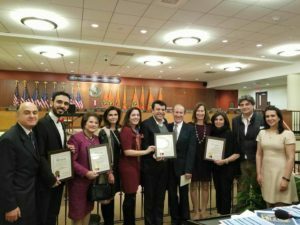 Community Recognition Awards were presented to Sephardic Heritage Alliance Inc. (SHAI), Iranian Mother’s Association (IMA) and United Mashadi Jewish Community of America (UMJCA), and A Musical Talent Award was given to Parham Haghighi. Nauruz originated in ancient Zoroastrian religion and culture, which predates other well-known religions, including Christianity and Islam. As recorded in history, on the spring equinox of 487 BCE, Nauruz was celebrated at Takht-e Jamshid, otherwise known as Persepolis, when the first rays of the rising sun lit the square stone set in the central hall of the palace. It was believed that was the place chosen on Earth where the sunrise would coincide with the equinox and set the calendar to zero. My parents emigrated separately to the United States from Iran in 1960. My father was a college student; my mother was a small child traveling with her family. Nassau County Executive Laura Curran greeted the audience in Farsi. As an American, with children of my own, I feel fortunate to have the freedom to recognize the rich traditions of my ancestors, including the celebration of Nauruz. Although the political situation between Iran and the United States has always been acrimonious during my lifetime, I am proud that Iranians are consistently recognized as one of the most successful immigrant populations in the history of the United States. 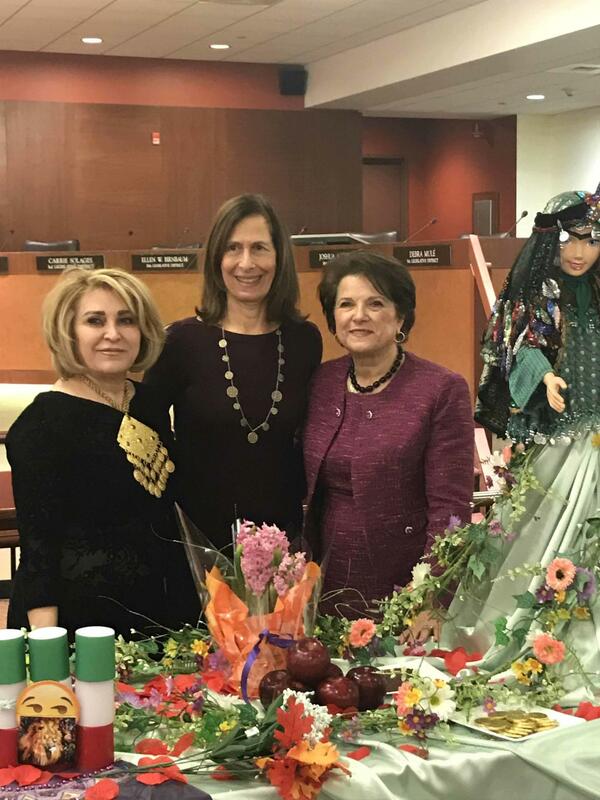 From left: Artist Homa Monassebian and Nassau County Legislator Ellen Birnbaum are with Parvaneh Sarraf, founder and chair of the Iranian Mother’s Association. From the time I was a small child, Nauruz was a highly anticipated holiday. Each year, my aunt Mahin Mahfar invited my entire extended family to her beautiful house to celebrate. 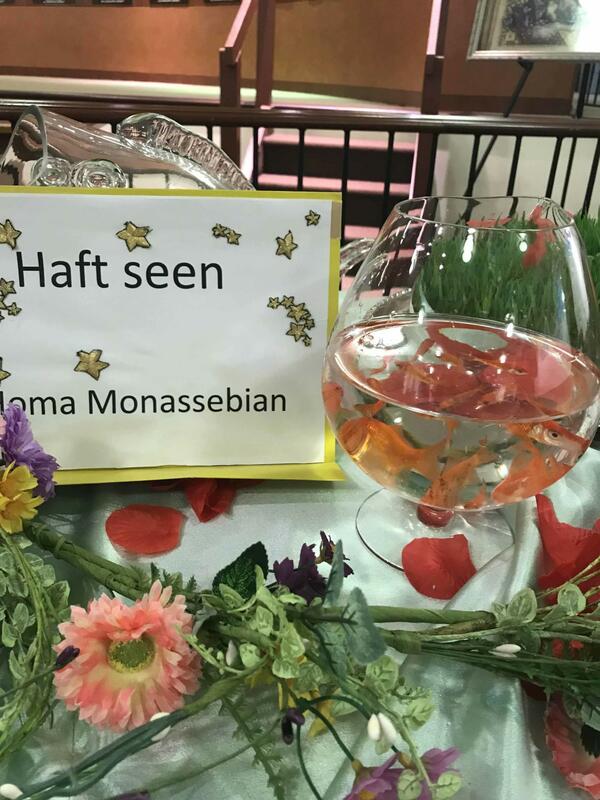 Those colorful memories, including the Haft Seen table replete with live goldfish and gold coins, are lasting and meaningful. To paraphrase the words of comedian Maz Jobrani, Nauruz is like a conglomeration of nearly all American holidays in one: Over a two week period, we celebrate the new year like New Year’s Eve, we exchange gifts and gold coins like Christmas and Hanukkah, we paint eggs like Easter, we go door to door like Halloween, we set off fireworks like Independence Day and we picnic like Labor Day. What could be more amazing than that? 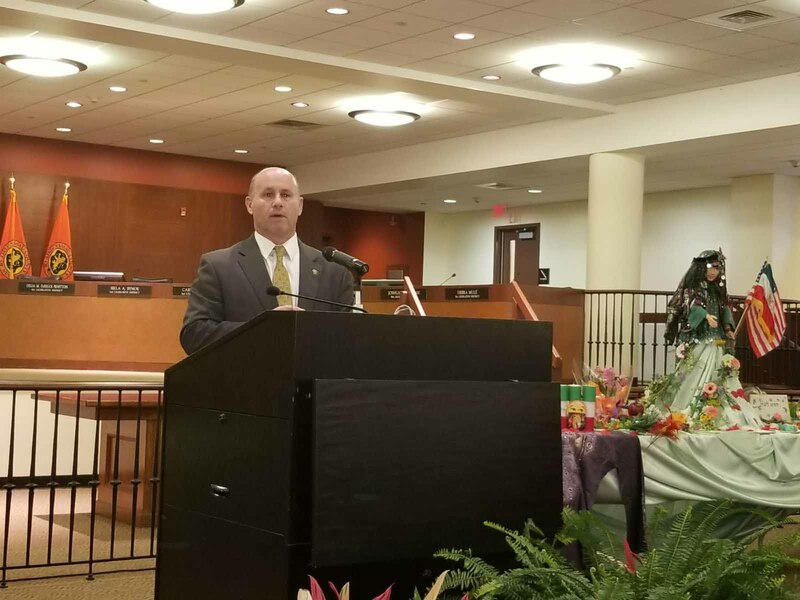 Police Commissioner Patrick Ryder acknowledged the many contributions of the Iranian community in Nassau County. At the invitation of Nassau County Legislator Ellen Birnbaum, I joined more than 150 Nassau County residents on March 21 to celebrate the Persian New Year at the Theodore Roosevelt Executive and Legislative Building in Mineola. 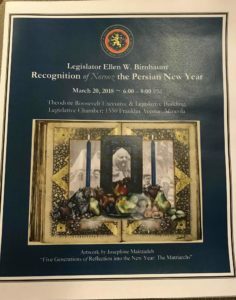 It was an honor and privilege to be part of the program on behalf of Sephardic Heritage Alliance Inc. (SHAI), one of the event sponsors. 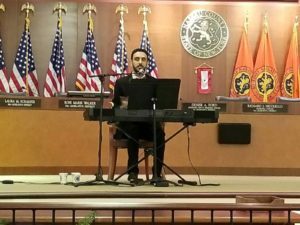 The evening included a musical performance by vocalist and musician Parham Haghighi, and poetry readings by Farangiss Sedaghatpour and Parvaneh Sarraf of the Iranian Mother’s Association (IMA). 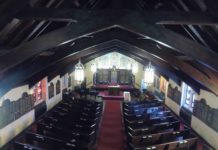 Members of the Mashadi Jewish Community were also in attendance. 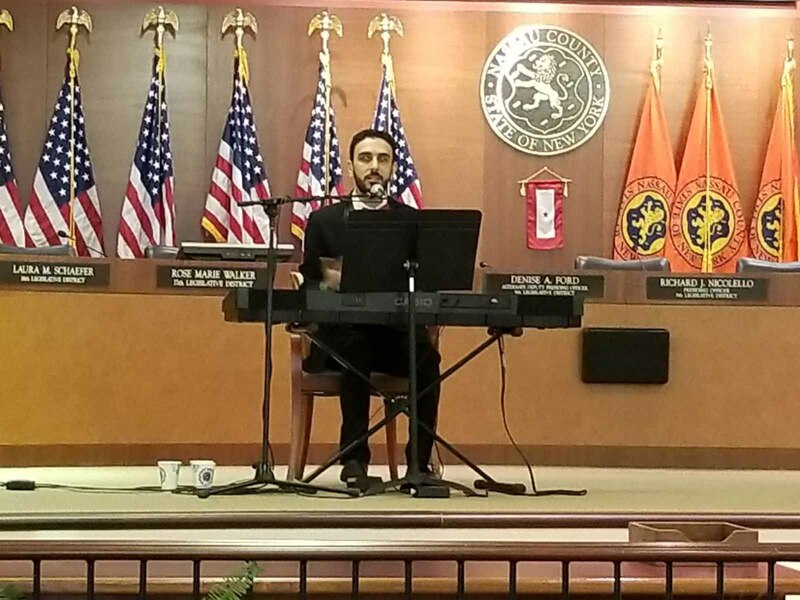 Composer, pianist and vocalist Parham Haghighi was the highlight of the evening. 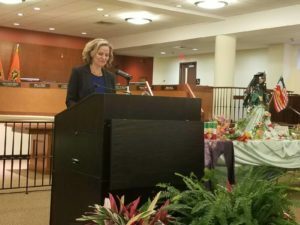 As it is a holiday that celebrates nature and is not tied to any formal religion, Nauruz is celebrated by people of all faiths. 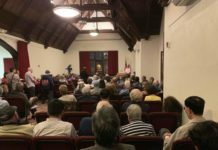 The event was free and open to the public, and the audience included Muslims, Jews, Buddhists, Christians, Zoroastrians, Bahais and agnostics. 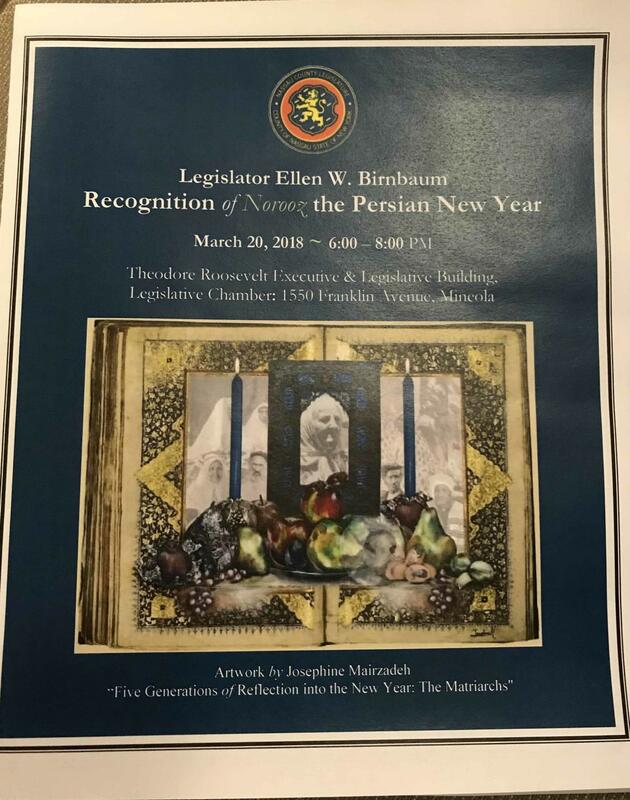 On behalf of SHAI, I was invited to explain the Haft Seen, a ceremonial table for Nauruz created by artist Homa Monassebian, which was on display. An elaborate Haft Seen ceremonial display was created by artist Homa Monassebian. Haft means “seven” and Seen means the letter “S.” The number represents the seven eternal laws of Zarathustra, the founder of Zoroastrianism. Each item on the table begins with the letter S and symbolizes abundance in nature: health, wisdom, prosperity, beauty, age, etc., to express thanks either for the abundance in the past or a wish for abundance in the future. In ancient times, that is what people prayed for in the new year and, speaking for myself and probably many others, not much has changed in terms of what we pray and wish for. 1. Sabzeh: green wheat sprouts growing in a dish, symbolizing rebirth and nature. 2. Samanu: a sweet pudding made from wheat germ, symbolizing prosperity and power. 4. Seer: garlic; symbolizing medicine. 5. Seeb: apples; symbolizing beauty and health. 6. Somaq: sumac berries; symbolizing tolerance and the color of sunrise. 7. Serkeh: vinegar; symbolizing age and patience. 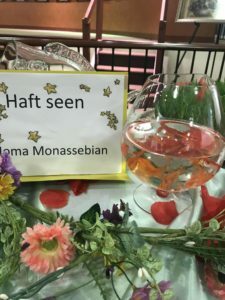 Goldfish are a symbol of life and Pisces, which is an important part of the Zoroastrian and Persian calendar. Many people add a couple of other traditional S items, including sonbol, the fragrant hyacinth flower, symbolizing the coming of spring, and sekkeh, gold coins, symbolizing prosperity and wealth. • A mirror, symbolizing lighting and self-reflection. • A pair of candlesticks, symbolizing happiness and enlightenment. • A small bowl of goldfish, a symbol for Pisces and life. • A holy book, such as the Koran, or a poetry book, such as Shahnameh or one by Hafez, Rumi. • A bowl of decorated eggs, symbolizing fertility. • A crystal bowl of water with an orange floating in it, symbolizing the Earth floating in space. • A bottle of rose water, believed to have magical cleansing powers. SHAI sponsored the refreshments, including dried fruits, nuts and pastries, which are traditionally enjoyed on Nauruz. 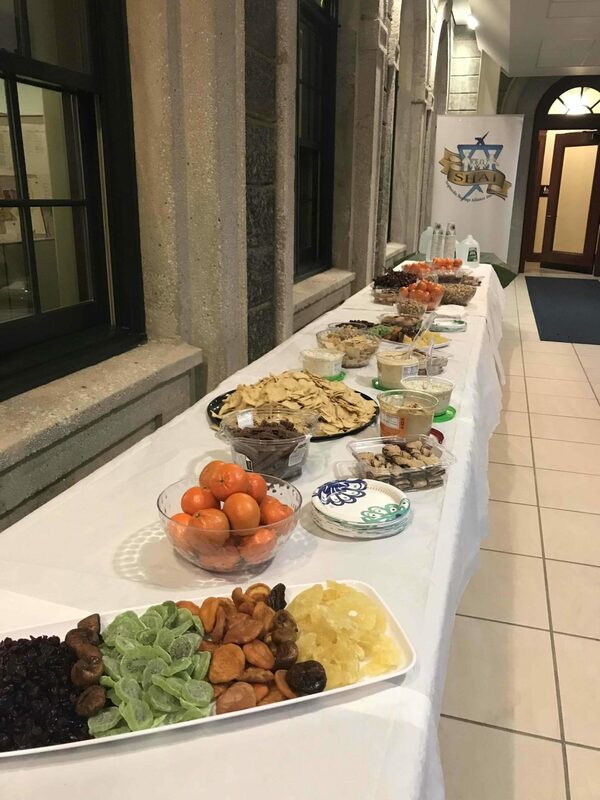 No holiday would be complete without some sweets and snacks to enjoy. During Nauruz, these might include a cup of hot Earl Grey tea with traditional Iranian pastries, such as baghlava, nuts, dried fruits like raisins and mulberries, and chickpea cookies. As the saying goes, “May you be as fragrant as the rose and as bright as the mirror.” And, might I add: May mild spring weather be upon us very soon. 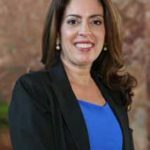 Jacqueline Harounian is a frequent contributor to the Great Neck Record.